It’s craaaaazy festival season again! 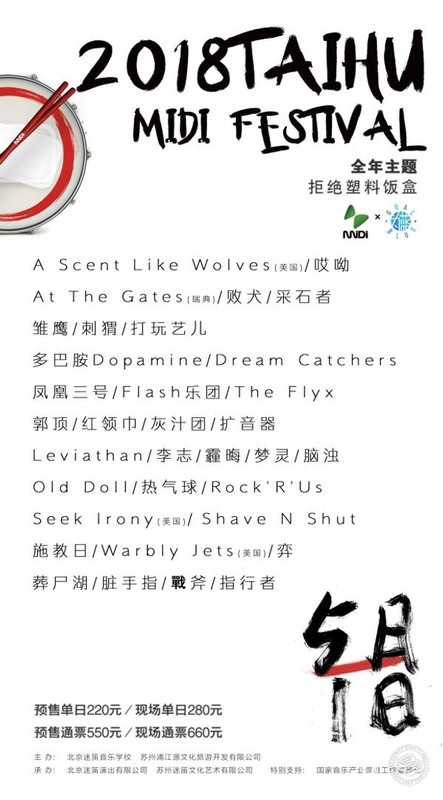 Here’s your handy dandy round-up of music tests happening in and around Shanghai. We’re down a few music festival brands this year — 330 Metal Fest, we hardly knew ye — but then up again in terms of baffling and daunting EDM spectacles. Your corporate cell phone and alcohol sponsors giveth and then they taketh away. 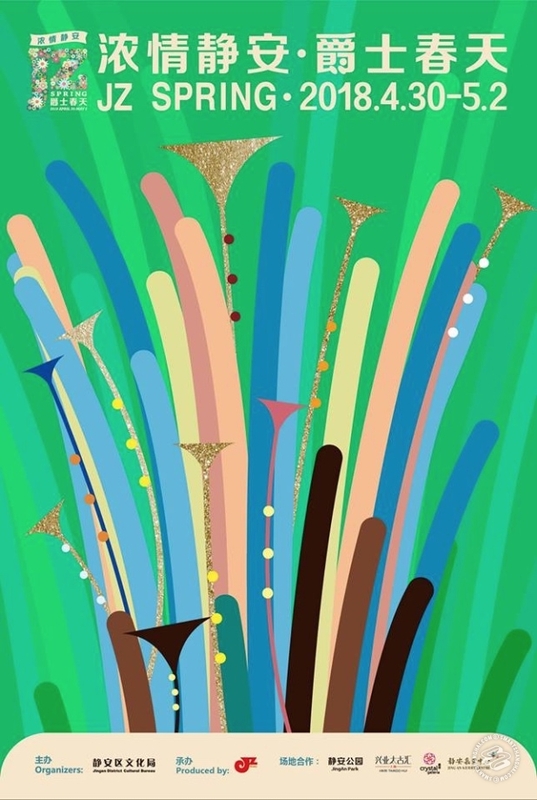 The main weekend is May Holiday: April 29, April 30, and May 1. You’ve got like seven different festivals competing for your patronage in that short holiday. Choices! Tickets: Single Day Passes. 560rmb (round trip bus from Beijing included). Available here. Finally, one for the cool dads out there. Check out that line-up of yesteryear indie rock! 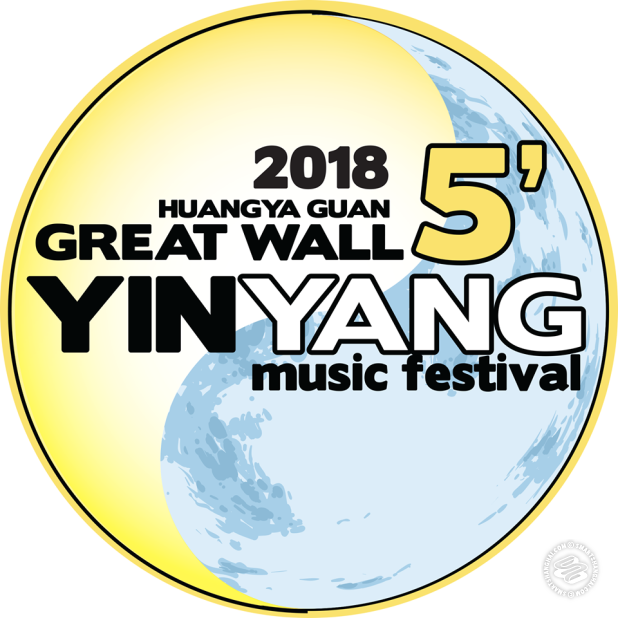 Yugong Yishan is one of Beijing’s biggest and longest-running concert halls, and they’ve organized two days of genre-defining bands and artists set on the top of a mountain. Tortoise, China's post-punk powerhouse Re-TROS, and the China debut of German punk band Die Toten Hosen. How’s that for completely random goodness. 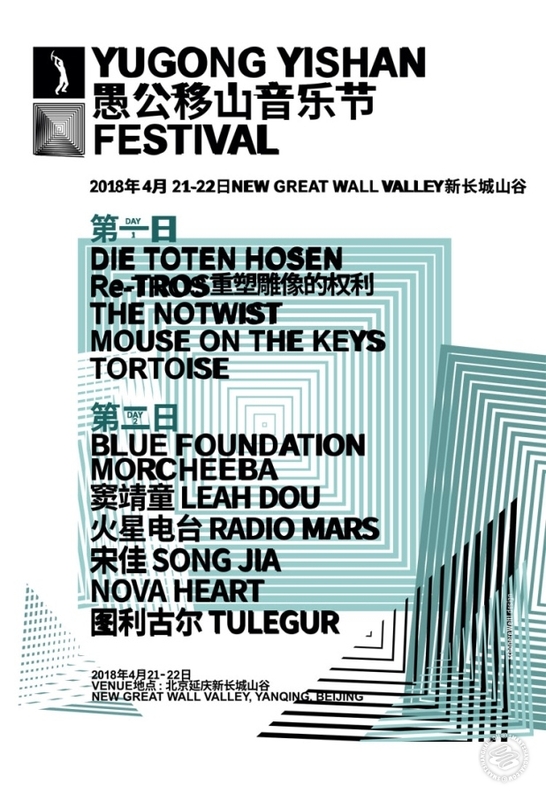 Day two is Denmark's dream-pop soundtrack-makers Blue Foundation, British trip-hop pioneers Morcheeba, as well as Inner Mongolia's nomad-rock band Tulegur and acclaimed Chinese acts like Song Jia, Leah Dou, Nova Heart, and Radio Mars. It’s seven hours of music a day, from April 21 to April 22, nestled in the mountains outside Beijing. They're only selling single-day tickets, which include a bus roundtrip leaving from Worker's Stadium (Club Mix) at 9.30am. Attendees have to present their passports and tickets (keep it safe, you need it for the return bus). There's no camping allowed. White dudes with exemplary Chinese language skills. That’s like the main thing in Beijing. 2000 years of white dudes with glorious Chinese. Tickets: Free entry. Runs 4pm to 10pm. From the concerns behind Never-Never Land/The Mansion, comes a scaled back version of their “Crazy Lotus” conference festival brand, at the seat of Shanghai’s underground on The Bund: Bar Rouge. A one-day event, this one’s combining electronic music performances with green workshops from local sustainability groups. 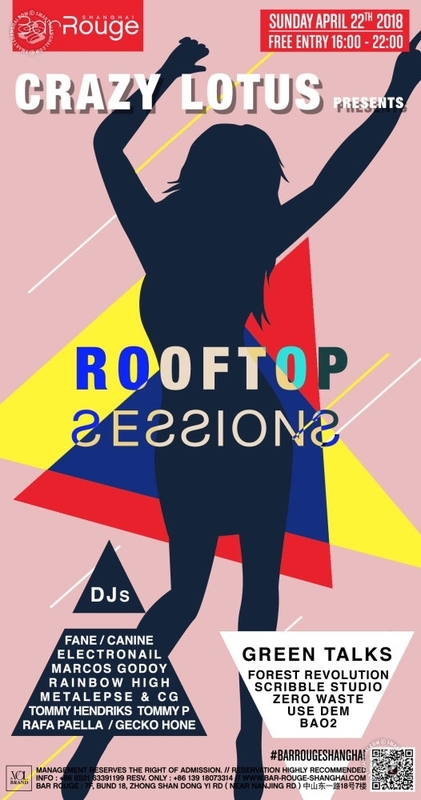 Gets going in the afternoon on the BR rooftop at 4pm with 10 DJs and four speakers. The DJs are your regular selectors at The Mansion — Fane, Electronail, Rainbow Gao, and more. Definitely a smaller and more manageable second year for the Crazy Lotus Festival, a platform dedicated to getting the party kids to think about… I don’t know… issues associated with partying like how to use Ableton and recycle and stuff. Where do these Mansion people find the energy for all these festival? Just wait till you start getting hangovers, kids. When one thinks of serious discussion on ecological and sustainability matters and quality, quality, quality electronic music two words come up time and time again: Bar Rouge. But seriously, The Mansion Family is a pretty open and friendly lot. Expect the faithful out for a Sunday drink, think, and dance on The Bund. Headliners: Luminaries of French culture represented in film, photography, stage, dance, music and more. Tickets: Mostly free with a few marque paid events. Check back on the SmSh listings closer to the dates. The yearly French arts, music, dance, and culture festival returns for two whole months April 24 to June 24 in Shanghai. The 13th Croisements Festival will pay tribute to the fifty-year anniversary of May ‘68 with a varied program across all mediums. Two months of events, including an Ingres retrospective exhibition, performances of Claude Debussy, and screenings of Jean-Luc Godard. Fete de la Musique returns as well, of course, with venues all around town taking part in the day of music. In addition, performances from contemporary pop and electronic artists Pony Pony Run Run, Clea Vincent, Ghosts of Christmas, and a “Sound of New Wave” concert series. For the full program in every city in China, check their main page right here. Depends what your jam is really. It’s a pretty far-reaching event series, covering a lot of different expressions — music, art, dance, stage, and whatever else. This, their 13th installment, with a more historically minded focus, around a pretty tricky political topic. Interesting. Tickets: One-Day Pre-Sale, 350rmb. Available here. Regardless. The show must go on. The three-day banger goes down from April 29 to May 1. Headliners this year include a few bigger name Japanese and international acts mixed in with their own label acts that play the festival every… Single. Damn. Year. 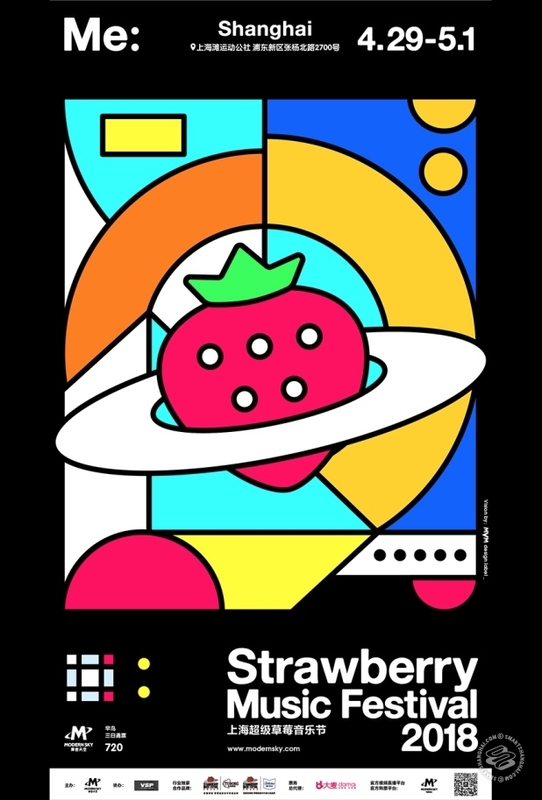 What to Expect: Strawberry fields forever. Lots of lounging around on the grass. It’s a nice, spacious, green space for a concert. Hopefully, they can manage to keep it that way, despite the massive crowd of kids this one always draws. Where: Paid concerts at Shanghai Center Theater. Free pop-up concerts at Jing’an Park, Reel, and more. Tickets: Free entry to the pop-up concerts in and around the malls and park at Jing’an Temple. Tickets to the Shanghai Center Theater show, anything from 80-480rmb. Available soon on Smartticket. What Is It: China's jazz empire throws this fest in Jing'an every year, with free performances in Jing'an Park and Jing'an Temple Square, and a series of (not free) concerts at the Shanghai Center Theater. This one is more locally focused, with mostly JZ artists on the lineup, and international guests at the Center Theater. JZ has been wildly successful with their events for the last several years, attracting top international jazz talent. Even though this is the more scaled back iteration, it's definitively one to check out for fans of jazz and gospel. The paid shows include performances by long-running jazz quartet The New York Voices, six-time Grammy-nominated guitarist Mike Stern with Modern Drummer hall of fame Dave Weckl, and vocalist Shunza with the JZ Big Band. Non-threatening music performed by internationally seasoned and locally talented musicians. Thus, a great one for the whole family. Nice afternoon(s) out in the park, and free entry too! Jazz hands! Headliners: Mother earth, GAIA, she who laid with Heaven and bore him deep-swirling Oceanus, Coeus, and Crius and Hyperion and Iapetus, Theia and Rhea, Themis and Mnemosyne and gold-crowned Phoebe and lovely Tethys. And some blissed out balding dude in That fart-pants swinging around glow sticks. Tickets: SOLD OUT Alas. You’ve either got your tickets or you don’t. Only ticket holders permitted entry. 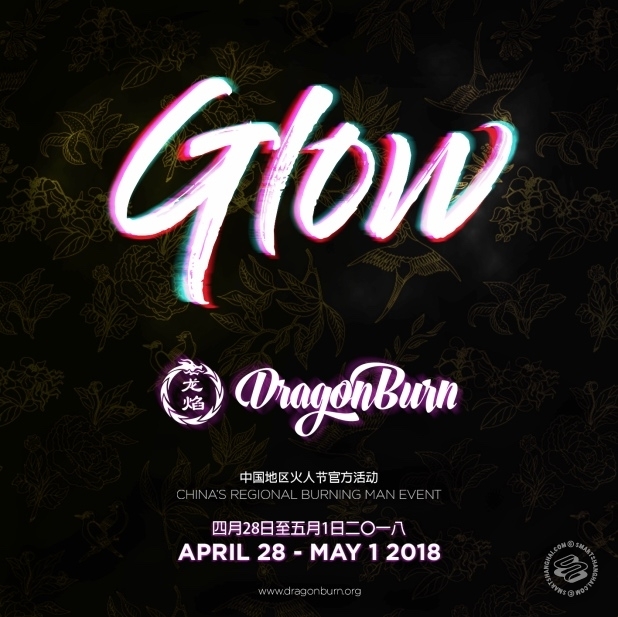 Dragon Burn is a regional event based on the ethos and principles of Burning Man. The words "Burning Man Festival" probably conjure up images thousands of insane and naked attendees in a desert in Nevada — lusty images to be sure — but this one's the China "Satellite Burn", which is actually a chill, community-driven event with workshops, performances, music, and camping. But yeah, it's a celebration of the ethos over the party. Dragon Burn is strictly "leave no trace" and "no commercial activity." Everything is free (aside from the ticket and tent rental), everyone pitches in, and not even the DJs get paid. This all happens about 4-5 hours outside of Shanghai. Where: Taihu Lake, Qidu Zhen, Wujiang District, Suzhou. Tickets: 220rmb pre-sale. 280rmb at the door. 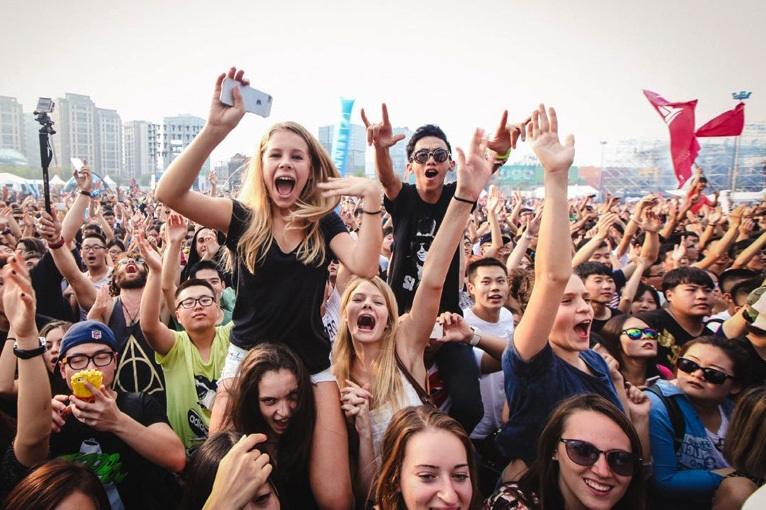 MIDI is China's first, oldest, rawest, most metal rock music festival. Although in recent years they making forays into the electronic scene, hosting “Midi Electronic” — they’ve since been looking for partnerships with INTRO — there’s no “Midi Electronic” for the second year now. Maybe they’ve realized there’s no competing with EDC, Ultra, Storm, Creamfields, Daydream, and even Modern Sky on those fronts. Maybe stick to the rivers and lakes that you’re used to, guys. Keep it heavy. Keep it evil. So yeah, this MIDI is back to the basics for them: legacy Chinese metal and punk from 20 years ago and a bunch of random Euro alt rock mixed in with their biggest booking in like five years: At the Gates. MIDI is returning to the closest place they can get to in Shanghai — Suzhou, in a lake area / janky amusement park that you can camp at. Chinese rock kids are really something for brand loyalty. Expect big crowd of spazzy metal kids waving around flags and headbanging. Music and production are meh but it’s really more about that unquantifiable MIDI Chinese festival experience. It runs deep. Plus. At the Gates. That’ll be neat. Tickets: One-Day General Admission, 880rmb; Two-Day General Admission, 1680rmb. Available here. 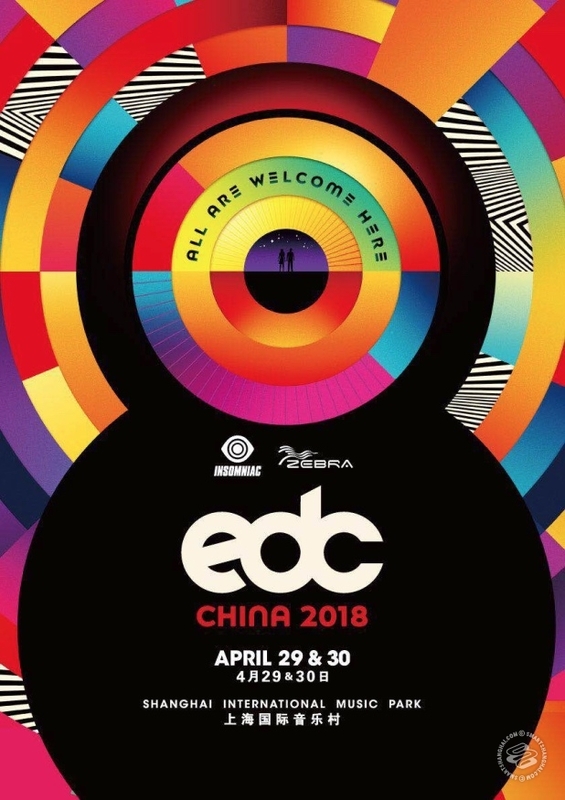 April sees eclectic, prolific music festival Electric Daisy Carnival making its China debut in Shanghai's International Music Park. When one thinks of TOTALLY LIT Electronic Dance Music Festivals, they’re thinking of this one. We’ll see how it does for its maiden spaceship launch in China. You’re looking at two days and four themed stages pumping out the full spectrum of that hot, hot EDM. Headliners are basically a spacebar murderer’s row of current EDM superstars — Hardwell, Illenium, Martin Garrix, Deadmau5, and more. With interactive art installations scattered throughout the space, and dancers, stilters, aerialists, circus performers, and other whimsical characters decked out in specially-designed costumes, whole place “oozes that otherworldly carnival vibe”. Stilters! They have stilters! Is that a thing? How is that a thing someone can be! Tickets: 160rmb to 560rmb. Available here. Hand in Hand International Children's Music Festival is back! 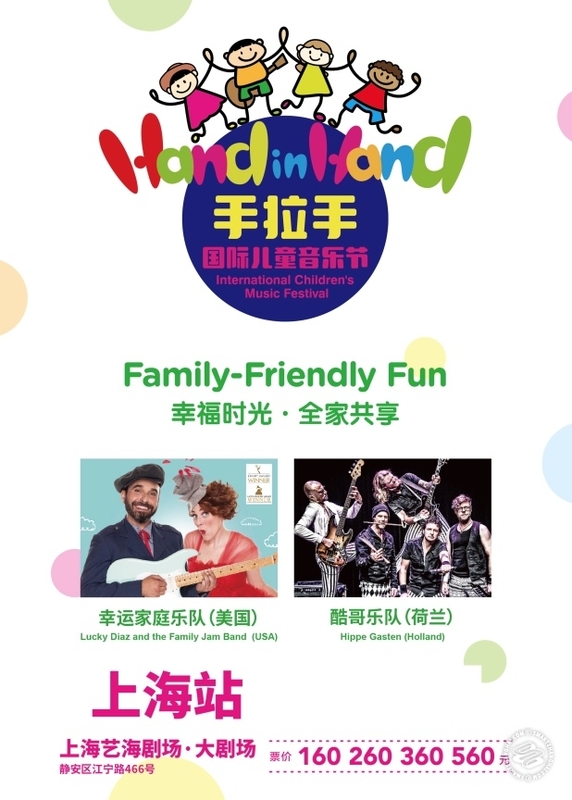 The brainchild of husband and wife duo Rebecca Kanthor and Liu Jian, the Shanghai-based organizers bring together bands from all over the world to play a bright, bubbly, family-friendly mix of rock and pop music for an audience of kids. The 90-minute presentation (which includes a 20 min intermission) will see performances from Lucky Diaz and the Family Jam Band from the US doing colorful PBS variety-show style "kindie" rock, and Hippe Gasten (literally "Cool Guys") from Holland doing a mix of showy percussion and some rockier numbers. I not going to front like I know the VH! Behind the Music of “Lucky Diaz and the Family Jam Band” or the Cool Dudes but it sounds like something a one-year-old would be into. Next year, if they get Raffi and / or Sharon, Lois, and Bram, I’m all over it. Infants getting crunk on street-cut Molly. A moshpit that would make Slayer check themselves before they wrecked themselves. Tickets: 350rmb to 1050rmb. Available right here. 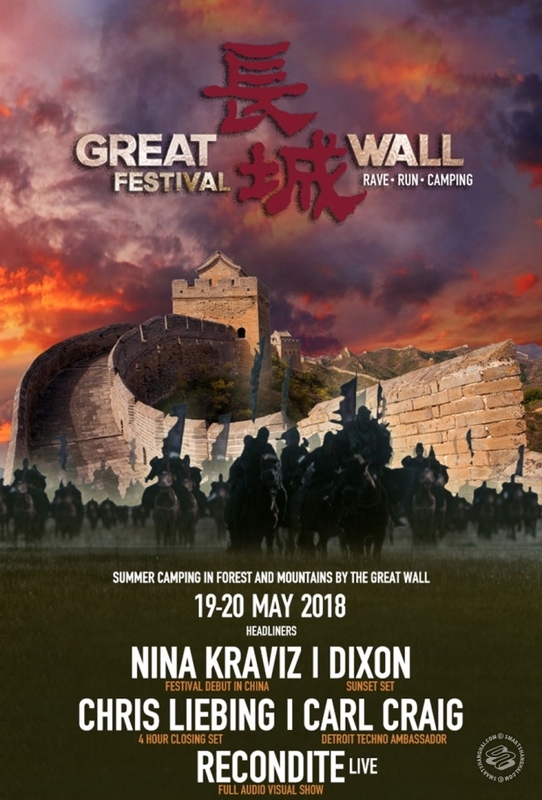 The Great Wall of China: Not so hot at keeping the Mongols out; even worse at quelling the hammered Euro tech house hordes. Heathens, just dancing on top of the thing, adding insult to injury. Tickets: There’s like 90 different ticketing categories, depending on your accommodation and transportation to the venue. Which you will be needing. General three-day pass early bird tickets are 480rmb. 24-hour early-bird passes are 380rmb. Available on SmartTicket shortly. Another festival on The Great Wall of China, organized by — damn!— prolific party villa The Mansion! Up in price from last year but still affordable. They’ve got a daytime stage actually on top of the Great Wall, a night time stage going till 3am at the foot of the wall, and a main stage with 3D mapping that turns the Great Wall into a filmscreen. History can be so trippy. Camping and hotel accommodation available. Music by International DJs with China-based DJs TBA. This is their fifth edition of the Yin Yang music festival, so they should have the kinks ironed out. This one always comes back with good reviews. Shanghai’s celebration generation partying down on the Great Wall — something the Wall’s architect, Qin Shi Huang, would no doubt have been really down with.